I have been postponing writing about this recital in the spirit of the Wordsworth Preface to Lyrical Ballads concerning the definition of Romantic poetry as being 'emotion recollected in tranquility'. I always anticipate a recital by this master musician for weeks and it always takes me some time to come to terms with his reinvention or rather recreation of everything he touches. I must confess for the first time in many years I did not respond favorably to Sokolov's interpretation of the Schubert works. Of course at this supreme level of musicianship his conception is far beyond any limitations of technique. His tone and touch was generally as limpid and glorious as ever although I felt the forte tone on this instrument overly and surprisingly aggressive, rough and unsuitable for the feminine longing that suffuses these works, the febrile visions of a dreamer facing the inevitable. I simply felt that the melancholic intimacy that suffuses so much of late Schubert was absent, that whispered nostalgia for past joys and the haunted breath of the shadow of death and imminent transfiguration. I felt Sokolov made these works too declamatory, self-confident and powerful for this particular soul facing the ultimate test of life. He seemed to conceive of Schubert in these works as a powerful Romantic in a strident Beethovenian manner. I had heard his performance of the late Schubert Sonata in A major D 959 (1828) at the Duszniki Zdroj Chopin Festival some years ago (2005) which was absolutely overwhelming, so this somewhat harsh approach caused me endless worry. 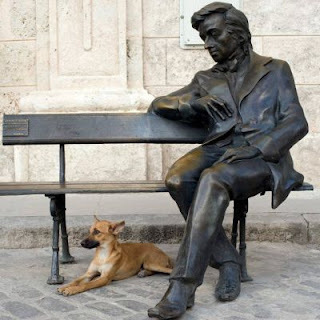 Schubert is a composer who benefits more than most from performance on an instrument of his time. 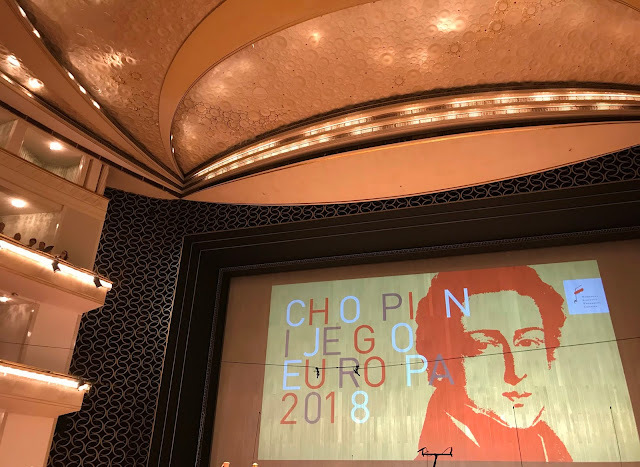 His piano and chamber music was never intended to be performed in the enormous concert halls we have become accustomed to today and the massive piano tone required to fill the cavernous spaces with sound. His pianistic vision seems to me to be one of subtle shaded pastels or watercolours with flashes of desperate affirmative power rather than the constantly strong, vibrant colours of an oil painting. The huge Steinway inflates these intimate works to an almost insupportable degree and certainly unbalanced dynamic level with its gargantuan tone, in particular the huge bass which unbalances Schubert's conception. After returning home I listened to Alfred Brendel's 1972 performance on Philips vinyl and found his restraint, subtlety and glorious tone more appropriate to the serious contemplative side of these works. But then I listened to what is becoming one of my favorite Schubert recordings, Alexei Lubimov performing the Op. 90 and op. 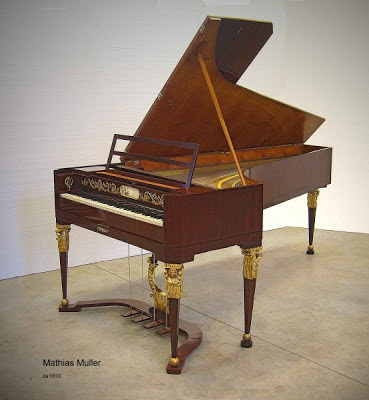 142 Impromptus on an extraordinary and wondrously restored early instrument by Mathias Muller of 1810. The perfectly balanced colour spectrum of this instrument is ideal for capturing the intimacy and melancholic nostalgia shot through with anger of late Schubert and of course Lubimov is such a great musician, pianist and artist. After the interval (which for me was one of the most uncomfortable self-questioning and reflection) we came to the 'Hammerklavier' Sonata. What a magnificent towering performance ensued! I feel a detailed analysis quite unnecessary and utterly redundant from an amateur such as me. 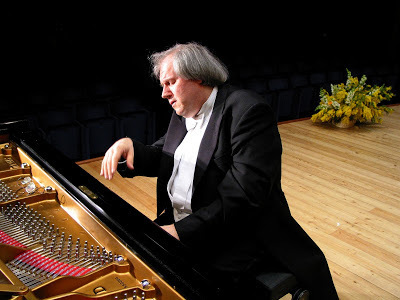 Suffice to say Sokolov hypnotized the entire audience into almost complete silence with his conception and recreation of this great work, surely one of the most extraordinary conceptions in Western piano music. Pure music of the greatest integrity and truth reigned supreme here, quite beyond the medium of the performer and the instrument, both becoming merely a conduit to the spirit of man laid out before us, an atom in the spinning firmament. Innumerable hidden details were revealed by the Sokolov consummate technique and by his profound philosophical and musical penetration. The Adagio sostenuto: Appassionato e con molto sentimento was a transcendent experience probably never to be repeated at least for me and then a terrifying Fugue. I was reminded of a comment made by Arthur Rubinstein when he observed that in live performance in a concert hall in the presence of a great artist, one is affected by their 'electromagnetic vibrations' that fill the space, electrical connections that cannot be captured on a recording, the way the artist plays directly on your soul and takes hold of it. Certainly this was the case in possibly the greatest live performance of the Hammerklavier I have ever heard.